Bray Truck and Parts, Inc. is your one stop for locating quality heavy-duty trucks and parts at an affordable price. We carry a wide range of trucks and parts, including Peterbilt, Kenworth, Freightliner, Mack and more. 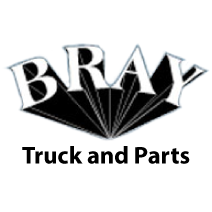 Bray Truck & Parts, Inc.
SEARCH - Bray Truck & Parts, Inc.